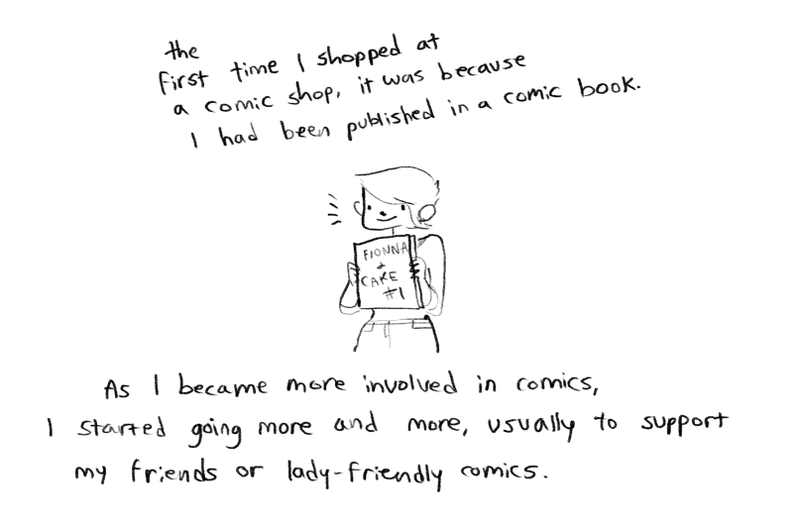 Noelle Stevenson, the artist who shot to internet fame with her Broship of the Rings fan art, as well as the creator behind Nimona and the upcoming Lumberjanes, has posted an interesting, unfortunate insight in to how she feels as a Comic creator and consumer, to be a woman in a comic book store. You can read the full comic over on her Tumblr, How Are You I'm Fine Thanks, but suffice to say it paints an uncomfortable image of the gender bias still rampant in the comic book industry. There's some more responses to the comic, good and bad, on her tumblr page at the moment, so be sure to click the link and read those read those too. We're on a bit of a roll lately when it comes to this sort of thing, aren't we? Have your pearls ready to clutch and a couch ready to faint on after you read this scandalous comic!